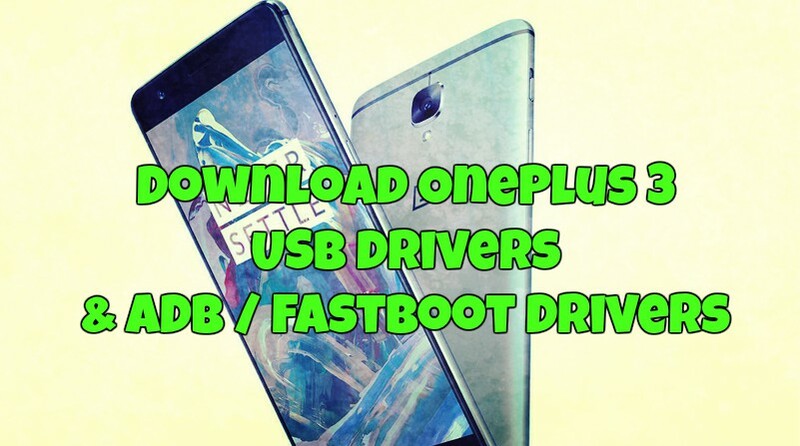 Here is the guide to Download OnePlus 3 USB Drivers & ADB / Fastboot Drivers. Oneplus released the latest Oneplus 3 smartphone with a competitive price. No doubt the new phone is Flagship killer, and this is the first time when Oneplus released the Phone with Metal unibody. Anyway, this post is about the OnePlus 3 USB drivers and ADB / Fastboot Drivers. Just like any Android phone OnePlus 3 also need the USB drivers to setup the connection with your Windows PC. If the proper drivers are not installed on your system, then you can connect the Oneplus 3 with your PC and not even manage the connection between them. Once the USB drivers are installed on your system, your computer will correctly recognize your OnePlus 3 hence avoiding any malfunctions or corrupt data transfers. USB drivers are must for to connect the phone and computer, with the help of USB driver you can easily connect your Oneplus 3 with PC and manage files between them. For transferring media content, photos and other files from your phone to the PC, you need the USB driver. Lets us take a look how to Download OnePlus 3 USB Drivers & ADB / Fastboot Drivers. Step 1. Download OnePlus 3 USB Drivers here and extract the folder on your desktop. Step 3. If you are the Windows User run OnePlus_USB_Drivers_Setup.exe, MAC users AndroidFileTransfer(OSX).dmg and Linux user adb_config_Linux_OSX.sh. Step 4. Now install the USB drivers on the system, Once complete Reboot your system. Step 5. Connect your OnePlus 3 with the USB cable. Wait for the phone to get connected. Now your will see your phone on the Windows System Drives. Now you can manage files between your system and phone. If you want to root your phone or install any custom ROMs on the OnePlus 3, you need ADB and Fastboot drivers on your computer. Here is the entire tutorial on how to set up ADB and Fastboot drivers for any Android device.